The Amalfi Coast, or the Costiera Amalfitana, as it is known to locals, is a true bucket list destination. It may only be 30-miles long, but this vertiginous land of sheer drop terraces and peachy-hued towns is easily Italy’s most iconic stretch of coastline. But don’t just take our word for it, over the centuries countless writers, artists, musicians, royals and celebrities have fallen for its laid back charm. In 1997 UNESCO even declared it a World Heritage Site, as an “outstanding example of a Mediterranean landscape, with exceptional cultural and scenic values”. 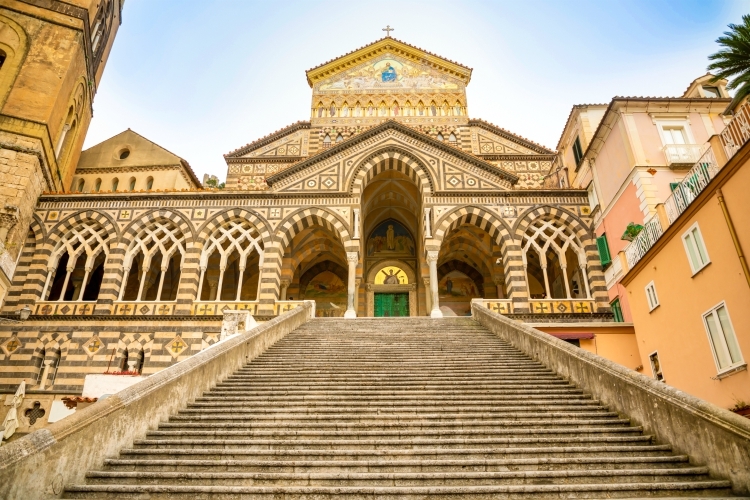 Stretching around the Salerno Gulf its verdant landscape is peppered with pebbly coves and citrus groves, atmospheric towns crammed with grand villas, Michelin-starred restaurants, magnificent churches and an enviable climate to boot, it’s no wonder the Amalfi Coast still sits at the top of many peoples’ ultimate ‘must visit’ lists. Italy’s most famous coastline is often praised for its world-class restaurants and romantic sea views, but it isn’t just honeymooners that flock to its shores. Pastel coloured towns cling to the clifftops, strung together by the infamous Blue Ribbon Road whilst further inland, acres of orchards, vineyards and wildflower meadows bloom. Keen hikers cannot resist the Path of the Gods, an ancient trail which passes through lemon groves and farmland, taking in plummeting gorges, valleys and caves along the way. 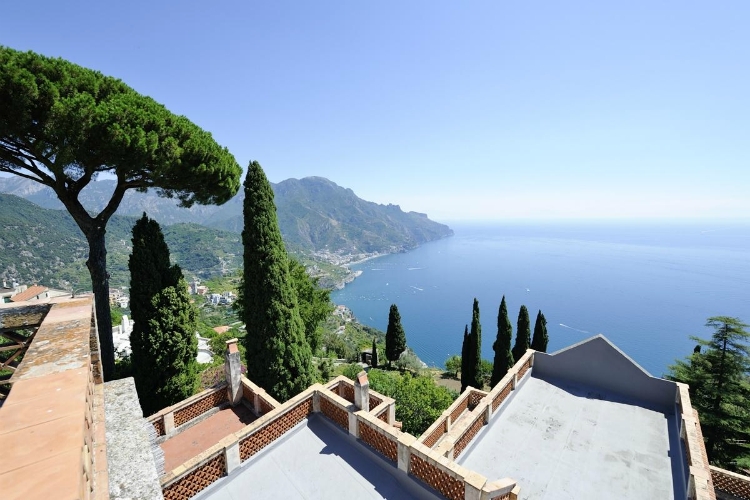 Classical music fans can while away the hours in lofty Ravello. The ornate hilltop town which inspired the likes of Wagner springs into life with an impressive calendar of atmospheric outdoor concerts and performances from April onwards. 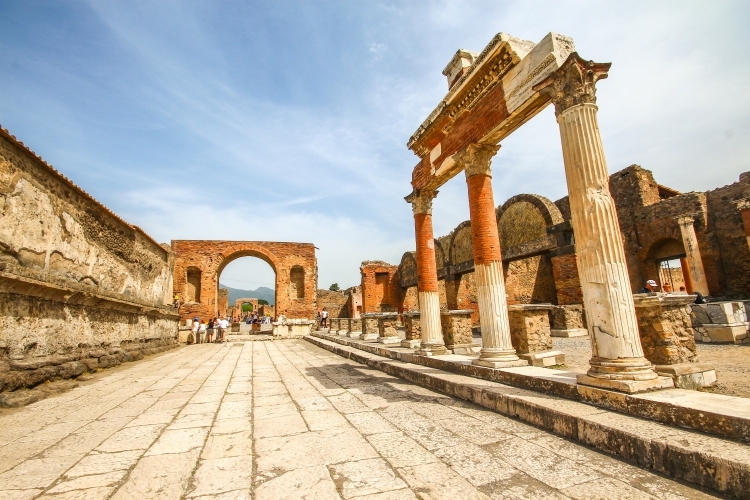 For history buffs, some of the world’s most famous Roman ruins are on your doorstep, with Pompeii, Herculaneum and lesser-known Paestum and Velia, all within reach. Plus, try and watch the kids contain their excitement as they whizz from town to town on a hydrofoil or explore the area’s mystical green and blue sea caves. Yes, the Amalfi Coast epitomises la dolce vita. The Amalfi Coast is a seasonal affair. It opens for business from late April to October, with many hotels, restaurants and public transport options winding down significantly from November. Summer is the most popular time to visit, but this sees the area’s prices soar and the traffic crawl along the iconic coastal roads. If you are keen to get out and explore, spring and late summer are ideal, when the temperatures are cooler, journey times halve and the main resorts are a little less hectic. Language Spoken – Italian. However, there is a very good level of English spoken by hospitality staff. Public Transport: In peak season the public transport network is regular and reliable, both on and off land. From Naples, jump onboard the ferry to Sorrento, alternatively, you can head there by train, with Trenitalia or bus with Curreri Viaggi. 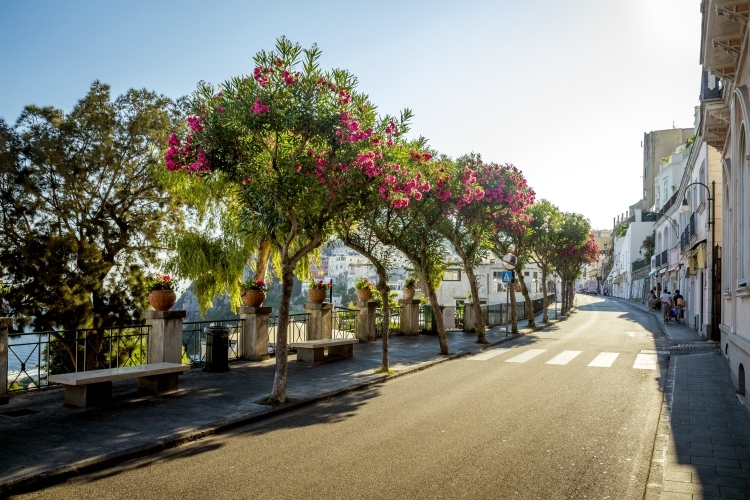 Once in Sorrento, it is easy to reach the other coastal resorts using the SITA bus service. Car hire: There are a plethora of hire car companies operating out of the airport, but be aware that driving here is hairy to say the least, mainly due to the narrow coastal roads, heavy traffic and sheer drops, so do not attempt it if you are a nervous driver or are new to driving abroad. The emergency services can be reached by calling 112. Take a valid European Health Insurance Card (EHIC) with you. By law you should carry some form of ID with you, when out and about. If you have chosen to hire a car, do take your passport out with you. Lunch (pranzo) tends to be served between 12.30pm – 3pm. Most formal restaurants close after lunch. Dinner (cena), kicks off around 7pm – 8pm. If the restaurant seems a little empty upon arrival, fear not, Italians tend to eat later. Italians are a friendly bunch, so don’t be surprised if a café owner greets you like an old friend or waiters go out of their way to entertain the children. The local language is Italian, but being one of the country’s most popular tourist destinations, most hospitality staff here speak good English. And if you are really struggling, there is always, ‘Parli inglese?’ – Do you speak English? Out and about feel free to haggle your heart out at the area’s lively markets, but expect to pay the published prices in supermarkets and restaurants. Whilst taxis make sense for hopping around town, we suggest avoiding them when it comes to longer journeys, with bumper-to-bumper traffic making some short journeys very pricey. There isn’t a big tipping culture in Italy, taxi drivers, for example, do not expect a tip. If you are feeling generous, leaving 10% is a guide for good service in a restaurant – but do check your bill before automatically tipping, as service is often already included. Small change is perfectly adequate for drinks in cafes and bars. Torn between Amalfi and Positano? Follow in Jackie Kennedy’s footsteps and head to the bijou town of Conca dei Marini, which is sandwiched between the two. Whilst the town itself is charming (boasting a particularly beautiful church), it’s the tourist-free sandy beach, which makes it one of our ‘must visit’ sights. ☝️Top Tip: This under-the-radar town is home to one of the coast’s most famous attractions, Grotta dello Smeraldo. This eerie sea cave takes its name from the vibrant emerald colour which naturally illuminates the water. Beneath the surface lurks an underwater nativity scene, made of Vietri ceramics. You can take a rowing boat to the scene. Be aware, excitable guides often serenade you at this point! With tickets at around €5, it is a cheap and cheerful attraction. Capri has a similar cave, called Grotta Azzura, but this is only accessible on Summer mornings by boat. Good to Know: The local monastery is famous for creating sfogliatelle, a traditional shell-shaped pastry which lurks in patisserie windows along the Amalfi Coast. This medieval fishing village may rub shoulders with busy Positano, but boy are they worlds apart. 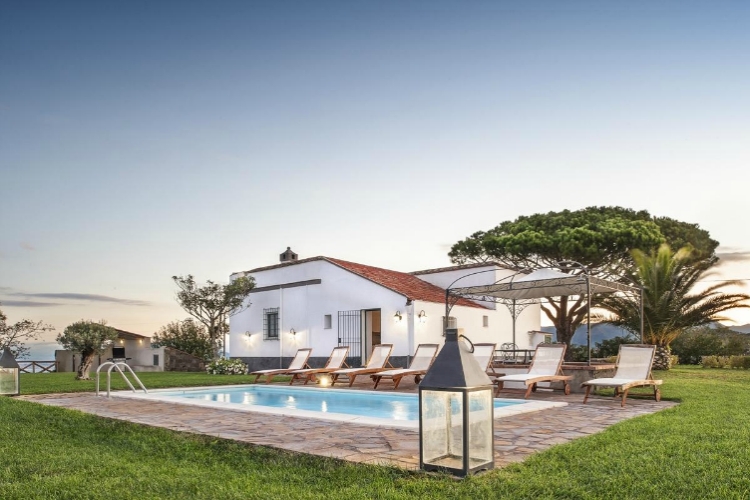 Equally picturesque, with sweet whitewashed cottages and endless sea views, laidback Praiano attracts an ‘in the know’ crowd, keen to escape the tourists and make the most of a peaceful beach. ☝️Top Tip: Praiano is home to one of the region’s most photographed churches. Seek out the Church of San Gennaro and check out its striking dome, decorated in bright blue and yellow Vietri tiles. Good to Know: Surprisingly, this peaceful village is home to the Amalfi Coast’s most iconic nightclub. Set in a cave, Africana Famous Club has been welcoming VIPs and celebs for over five decades. Its season starts in May, but it really gets going in June, when you can dance beneath the stalactites seven nights a week. August has the best line-up. This glorious hilltop town, nicknamed the City of Music, was made famous by German composer, Wagner. Renowned for its ornate gardens, swish villas and prestigious summertime concerts, it oozes sophistication and elegance. 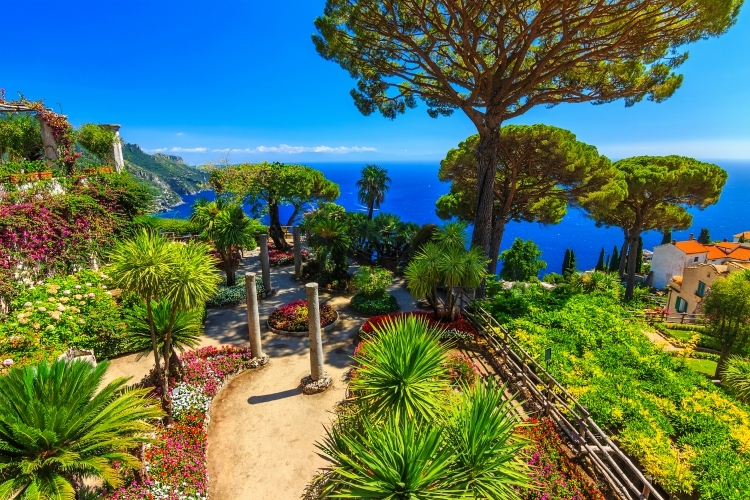 Residing at 365 metres above sea level, Ravello boasts spectacular visas. Begin your visit with a coffee in the main piazza before heading to the 11th-century cathedral. Don’t miss a snoop around Villa Rufolo. The grand villa dates back to the 13th century and today sets the stage for the town’s romantic open-air concerts. ☝️Top Tip: Make a night of it and try and nab tickets for the town’s outdoor concerts, they kick off on April 1st. 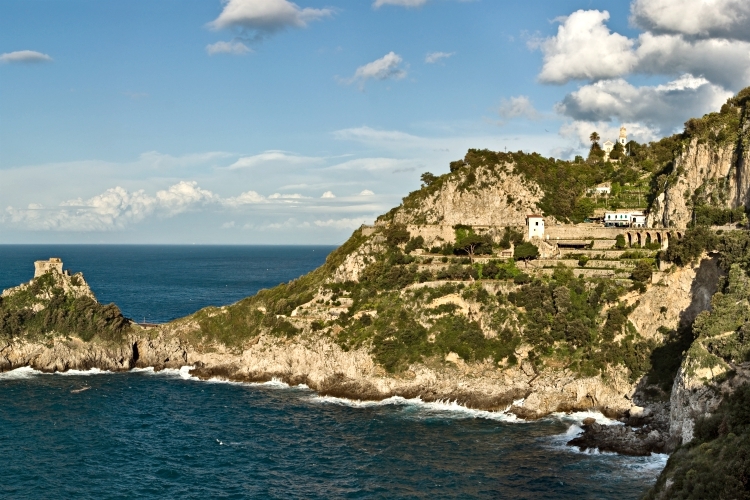 Shhh, don’t tell anyone, but Ravello actually has a secret beach: Castiglione di Ravello. Head there first thing in the morning when it is basking in the sun. 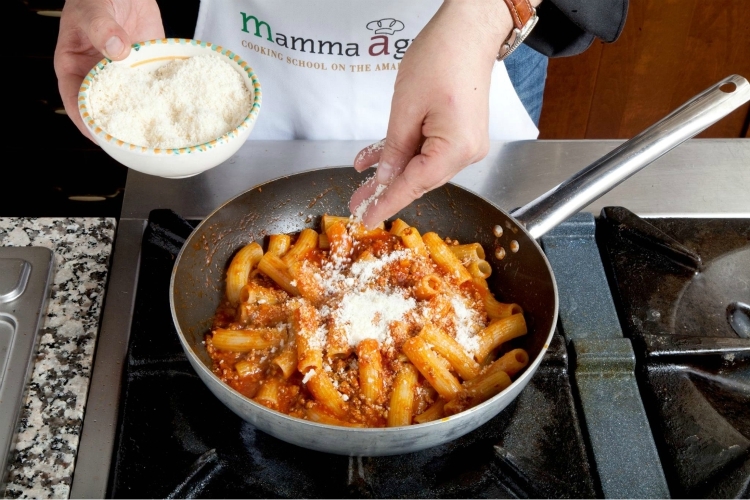 Good to Know: Foodies should consider a cookery lesson at Ravello’s Mamma Agata cookery school. It is one of the best in the region. But book early! If hunting out the lemon farms seems a little too much like hard work, then fear not, you can get a citrus hit in Sorrento’s old town. Meandering around the souk-like lanes is a zesty affair, with curious shops and workshops selling vibrant hand-painted lemon covered pottery, eye-wateringly bitter lemon sweets and of course, endless bottles of limoncello. However, the best photos are of the fruits themselves and around every corner, you will find baskets displaying lemons the size of melons! ☝️Top Tip: Want to take a bottle of Sorrento’s famous limoncello home with you? Try and buy one that is a subtle sunny yellow in colour, as the fluorescent ones for sale are packed with colouring and do not taste authentic. 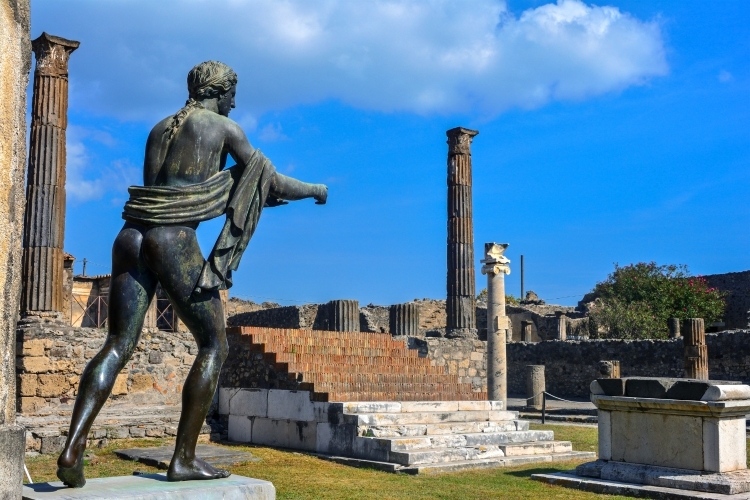 History buffs will no doubt want to dash to Pompeii. Devastated by the catastrophic eruption of Mount Vesuvius in AD 79, today you can wander around the ruins and restorations. We recommend arranging a private guide to make the most of a visit here, after all, as the second most-visited tourist site in Italy, you will have queued long enough to get in! Don’t miss the Temple of Jupiter and remember to slather on the sun cream, as there is no shade. 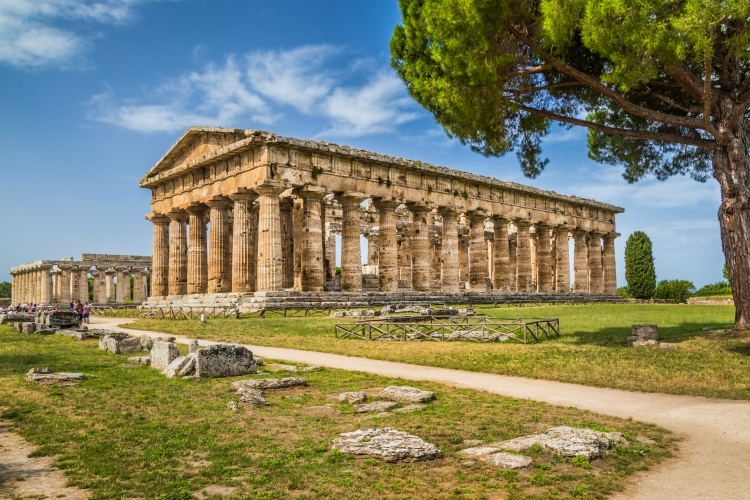 For a shorter and more relaxed experience, head to Paestum. ☝️Top Tip: Make sure you receive your Pompeii map. This is free, but sometimes you need to ask for it when purchasing your ticket. There are various guides hanging around the main entrance for hire. it can be a long tour, so make sure you pick the one that is right for you. Good to Know: To do a visit to Pompeii justice, you need around three hours to scratch the surface, though you could easily spend the whole day exploring the buildings and taking in the preserved design features. Cost: Adults €15 & concessions €7.50. Once a hiding place for bandits, this deep gash in the rocks west of Amalfi is rumoured to be Italy’s only fjord (although in reality, it was created by river erosion, not a glacier). Today, you can descend a lengthy stone staircase to reach the village’s beach. Located 300m beneath the main town, which locals refer to as Neverland. Sheltered by steep rocks either side, this scenic spot provides a cool summer bathing spot. ☝️Top Tip: Family foray? Opt for an afternoon visit, when the beach is shaded and less busy. Take a baby carrier, as with most beaches along the coast, there are lots of steep steps to navigate to reach the shore. Had enough of steps? Amalfi’s beach has a pram-friendly promenade. Good to Know: Visiting in July? You may catch the annual high dive competition, which takes place on the 90ft bridge. Parking is tricky here, so expect a walk. This glitzy island is a magnet for the rich and famous. Accessible by boat from most of the mainland resorts it is an easy day trip, but to see the true Capri, we suggest staying overnight. This place comes into its own when the ferry loads of day-trippers leave. Wander Villa San Michele’s peaceful gardens, stroll along buzzy Via Krupp and partake in a spot of window shopping along Via Camerelle, before joining the glitterati for a chilled prosecco in the piazzetta. ☝️ Top Tip: A day trip to this fashionable island is incredibly easy… when you know how. During summer there are regular boats (and speedier hydrofoils) from Sorrento, Positano, Amalfi and Salerno. Most dock at hectic Marina Grande. If you want to head to Capri Town, find the tourist office and purchase a funicular ticket, which will whiz you up the cliff, providing dreamy views along the way. Good to Know: Capri is pricy. 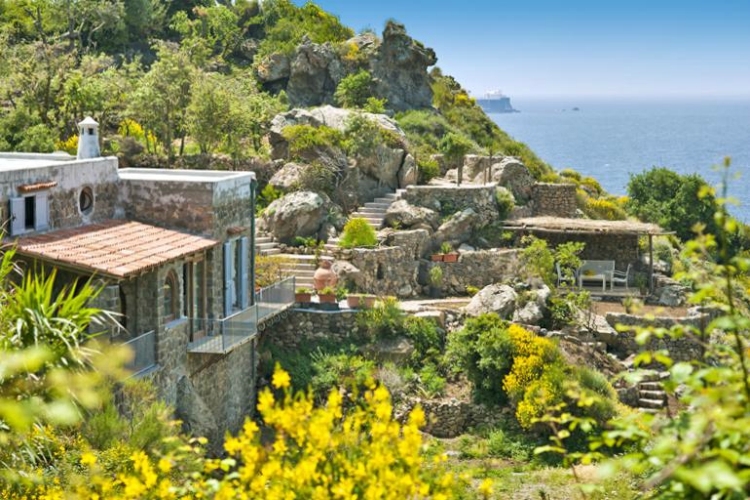 If you fancy an island retreat without breaking the bank, check out unshowy Ischia. Outdoorsy types can expect picturesque hikes through verdant forests and up panoramic peaks, whilst sightseers can choose between open houses, museums, ornate gardens and even a medieval castle to boot. The road of a thousand bends may boast spectacular scenery, but in summer the soaring temperatures and bumper to bumper traffic can make resort hopping by car a challenge for families. It’s easier, and often more fun, to jump aboard one of the many vessels that connect the coast’s main islands and resorts. From cheap and cheerful ferries and speedy hydrofoils to swish private speedboats, there are lots of options. 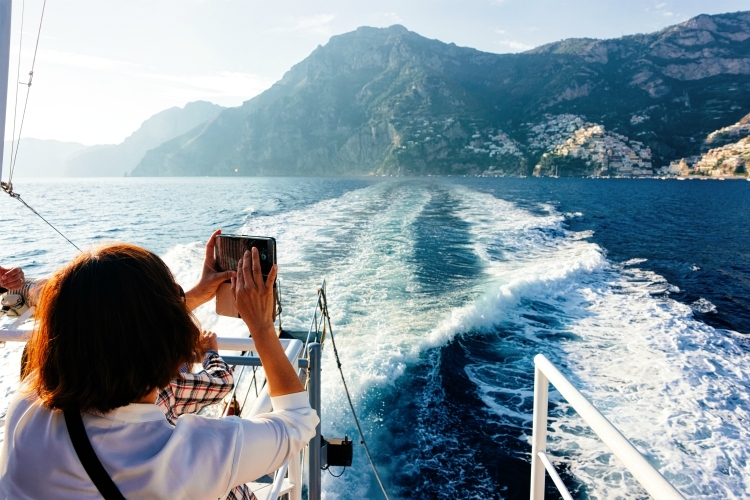 Whilst children love whizzing along the coast feeling like an action hero, you will get the chance to see the spectacular Costiera Amalfitana from afar. ☝️ Top Tips: Don’t forget your camera, this pastel-hued coastline is even more photogenic from the water. Book your ticket in advance to get the best price and avoid disappointment. Do keep an eye on the time, as you don’t want to miss the last boat back. Good to Know: Most of the main ferry services only run between April and October, so check the timetables if you are travelling outside peak season. Children under three often travel free. The Amalfi Coast is peppered with tiny pebbly beaches and hidden coves, but thanks to the vertiginous towns’ sheer drop cliffs, you often have to navigate hundreds of steps to reach them. Don’t get caught out! We have selected a few family-friendly options to help you get paddling pronto. 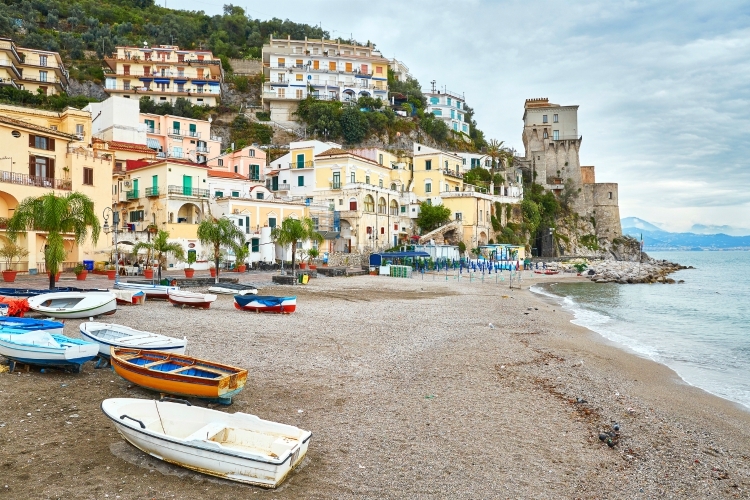 Maiori, Minori, and Amalfi all have fewer steps than usual, plus they have pram-friendly boardwalks (a rarity in these parts), making them a great choice for family beach days. Maiori also boasts one of the Amalfi Coast’s longest, sandy beaches, and due to a landslide in the 1950s, the area is remarkably flat. Despite much of the shore being snapped up by bathing establishments, there are two free bathing areas to hunker down in. ☝️Top Tip: In general, it is advisable to leave the pram at your villa and use a baby carrier when out and about. Good to Know: Be aware that lots of beaches have private bathing establishments, where charges and reservations often apply. These brilliantly preserved Greek temples are set within acres of empty wildflower meadows, perfect for a relaxed picnic. While the little ones will enjoy running around the vast flora-filled fields and staring at the other-worldly structures before them, you can bask in the fact that you are dining in a UNESCO-World Heritage Site, that dates back to 6th-century BC. ☝️Top Tip: Arrive early and you will often have the place to yourself. Good to Know: Parking is easy, or you can get the train to Paestum’s station, which is 15-minutes’ walk from the site. Buy your entrance tickets at the museum (sometimes there is also a small ticket office at the main entrance). Cost: Adults €9.50 & concessions € 4.75. * Tickets always include access to the archaeological site and entrance to the museum. Occasionally, one may be closed, in which case a ‘reduced-prices’ spring into action. ☝️Top Tip: In summer, the early afternoon provides the best light. Good to Know: If you don’t fancy the boat trip from Amalfi, you can drive or take a bus to the cave entrance (this does involve steps). From here you can board one of the rowing boats. So, they think history is boring, do they? They clearly haven’t visited Pompeii yet, where they can hang out in the gladiator barracks, sit in a two thousand seat amphitheatre and gawp at the eerie petrified bodies (well, they are plaster casts, but you don’t have to let them in on the secret). This UNESCO World Heritage site is enormous, but you can download a crafty two-hour route online if you want to keep things quick and easy. If Pompeii seems too daunting, check out Paestum or Herculaneum – they are both considerably smaller, and Herculaneum offers more shade for smaller explorers. ☝️Top Tip: If you don’t fancy hiring a personal guide, but need a little extra help navigating this huge site, hire an audio guide. Good to Know: Don’t fall prey to scammers, tickets for Pompeii are only available at the official onsite ticket booths or on the TicketOne website. This Instagram-worthy chairlift ride climbs its way from Piazza Vittoria in relaxed Anacapri to the top of Monte Solaro, providing breath-taking views towards Naples and Mount Vesuvius along the way. The ride takes just over ten minutes. Measuring in at 589 meters above sea level, the summit is the highest point on the island. ☝️Top Tip: Children under seven can ride for free on a parent’s lap. However, the safety bars can be easily lifted, so we recommend avoiding this ride with wriggly tots. Good to Know: The seats only fit a single passenger, making it a popular ride with teens wanting a little independence. To get there, jump on the bus from Capri to Anacapri and once at the Anacapri stop, head up the steps (they are obvious), and you will arrive at the chairlift base. 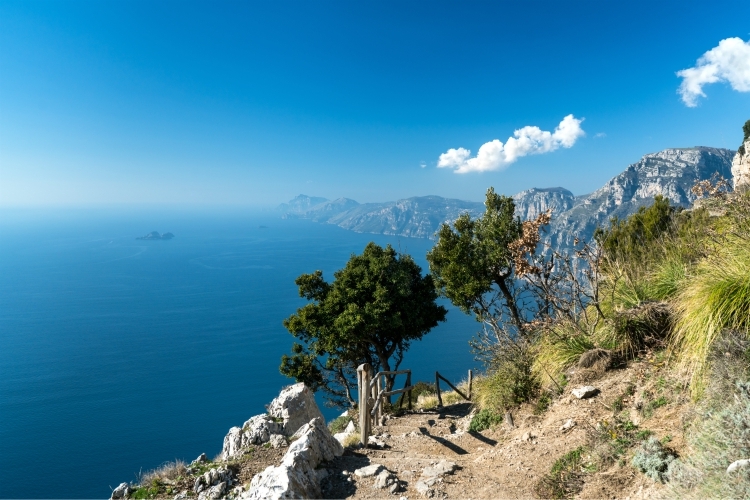 The Amalfi Coast is home to one of Italy’s most famous hiking routes, the Path of the Gods. Stretching from Agerola to Positano, parts of the footpath date back to medieval times. Today, this epic hike takes in vertiginous vineyards, fragrant lemon fields and dramatic gorges, as well as some spectacular views of Capri, Positano and many other Amalfi Coast icons. The path skims lots of mountain hamlets, which make a pleasant detour, should you wish to venture off-piste for an explore. ☝️Top Tip: Early Spring is the perfect time to take on this famous trek; the weather is just right, the countryside is covered in wildflowers and the public transport is up and running. Good to Know: Suffer from vertigo? Give it a miss. It tends to take around four to five hours to complete, but as it is a linear walk, you can do as much or as little as you like, just plan your transport around your preferred route. Parts of this hike are very steep. Referred to as the City of Music, lofty Ravello has played muse to many a creative over the years. In fact, grand Villa Rufolo, which is known for its impressive sea-view gardens, is said to have inspired Wagner when he was writing Parsifal. This spectacular property, which looks more like a castle than a home, is just one of the fascinating venues which hosts live performances. ☝️Top Tip: Try and get tickets for an outdoor classical performance at Villa Rufolo. The vast stage seems to magically hover above the Tyrrhenian Sea. Good to Know: Ravello Concert Society has launched a new student ticket, offering full-time students aged between fourteen and twenty-six, discounted tickets from just €17.50. Amalfi may be an atmospheric fishing town today, but it was once a powerful marine trading centre. Its grand history explains why such a laidback spot is home to such a spectacular cathedral. Dating back to the 9th-century, the building has undergone various facelifts over the years, with gothic, baroque and renaissance design elements evident, but today boasts a striking Norman-Arab façade, which features ornately striped marble and stone. ☝️Top Tip: Due to the endless steps which lead to the entrance, visits are tricky for those with mobility problems. Good to Know: You need to cover your shoulders and knees to enter the cathedral. Cost: Access to the main cathedral is free. Some special areas require a ticket. During high season some of the Sorrentine Peninsula’s finest buildings open their doors to host performances as part of Sorrento Classica, an international classical music festival. In Sorrento itself, the glorious hidden gardens of Chiostro di San Francesco (Cloister of St. Francis) set the stage. The tranquil 14th-century cloisters, just moments from Sorrento’s central square, are the perfect retreat from the busy streets, with vibrant bougainvillaea and climbing vines garlanding the columns and arches. ☝️Top Tip: As it’s a religious site, you’ll need to dress appropriately and cover your legs and shoulders. Good to Know: For a light-hearted alternative, Sorrento’s Teatro Tasso stages regular folk performances, with performers kitted out in colourful traditional costumes. Yes, all of the songs are all in Italian, but you will be surprised how many of the songs you will recognise… and how long you will be humming them afterwards! Everyone from Pierce Brosnan to Woody Harrelson have worked up a sweat in this family kitchen, hidden away in picturesque Ravello. Nicknamed ‘the hidden treasure’, Mamma Agata’s home sets the scene for one of the Amalfi Coast’s best (and most relaxed) cookery schools. Mamma and her husband Gennaro, use the finest homegrown and own caught produce to create simple, but flavourful dishes. ☝️Top Tip: Check out Mamma’s shop, it sells beautiful ceramics, lots of her own grown produce and her cookbook. The capers, grown in Mamma’s garden, are particularly delicious! Good to Know: Cooking at Mamma Agata’s is a proper family affair, in fact, Mamma is often joined in the kitchen by her husband, Gennaro – we love their homely setup! However, if you are after a more formal experience, consider 2-Michelin starred Don Alfonso 1890 in Sant’Agata, near Sorrento. Cost: Costs vary depending upon your class size and requirements. Most of Campania’s best vineyards are inland, so Marisa Cuomo’s dramatic coastal plot, which hovers above the sea at Furore (known locally as Neverland), makes the vertiginous vineyard a very special find indeed. Tour the vines, check out the cavernous cellar and then taste their finest tipples whilst staring across the Gulf of Salerno. ☝️Top Tip: Make a day of it! As well as its famous fjord, Furore is also known for its colourful murals, which were supposedly created to make this easy to miss town more visible to passers-by. Good to Know: Sound like a pro! Wines here age in a spectacular cavernous cellar, which has literally been dug out of the cliffs. Cost: Contact the team to discuss. The medieval village of Cetara has become a bit of a foodie hotspot over the years. Famous for its anchovies (and tuna), it boasts some of the region’s best seafood. The beach is dotted with colourful fishing boats and watched over by Vicereale Tower, once used to keep watch for pirate attacks. Make sure you order spaghetti drizzled with Cetara’s famous colatura di alici. ☝️Top Tip: Stick around until after dark, when the anchovy fishermen hit the shallows with their glowing lamps. Good to Know: The best place to buy colatura di alici is Cetara’s Sapori Cetares. It has been selling it since 1950. Italy’s most famous stretch of coastline is scattered with Michelin-stars, yet you don’t have to pay through the nose to enjoy Campania’s rich foodie scene. The best dishes here often only have a few seasonal ingredients, with simplicity and quality, local produce provides the backbone for the region’s culinary delights. With the finest buffalo mozzarella, the world’s best lemons, perfectly sun-ripened vegetables and endless hauls of fresh fish coming straight from the Tyrrhenian Sea, in-villa cooking is fun and rewarding. In summer, stock up on hearty aubergines, sun-sweetened tomatoes and the catch of the day. 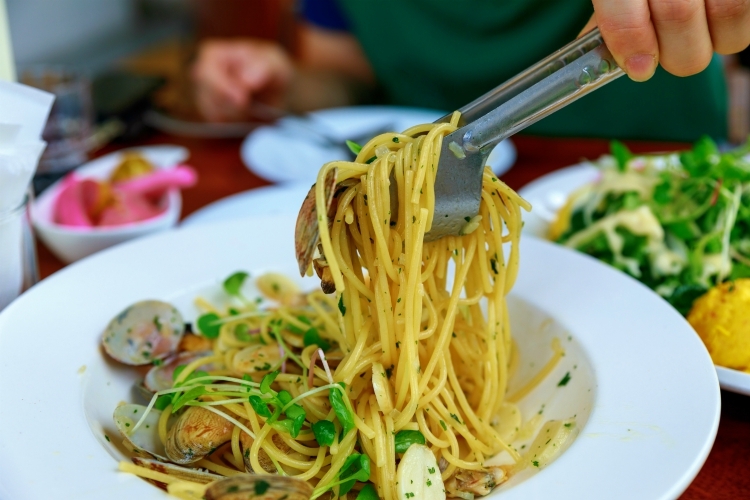 The Amalfi Coast’s citrusy take on spaghetti alle vongole (spaghetti with clams), sums up the area’s simple approach to food. It combines al dente spaghetti, fresh clams, those famous lemons and a kick of chilli. Made from the milk of water buffalo, the Campania region has been making this bittersweet, ridiculously creamy cheese since the twelfth century. Spending the day on Capri? Order a ravioli Capresi (a light cheese-filled ravioli in tomato sauce) and a Caprese salad (mozzarella, tomato and basil). Or what we would call anchovy sauce is a modern version of a Roman fish sauce. It takes up to three years and 50lb of anchovies to make just a gallon of this pungent dressing. Locals drizzle it over salads and roasted meat, but to experience it properly, head to the colourful fishing village of Cetara and enjoy it over spaghetti. Got a sweet tooth? Try a delizia al limone, (a local creamy lemon sponge cake). If you are based near Amalfi, head to Pasticceria Sal De Riso in Minori – it is ten minutes’ drive on a good day and has a popular sea-view terrace. Roughly translating as ‘little leaves’, this light cream-filled pastry became hugely popular in Naples and today comes with a variety of fillings, with everything from chocolate mousse and whipped cream, to custard and ricotta, filling its flaky sheets. Pay tribute to Sorrento’s patron saint by indulging in a torta di Sant’Antonino. Its less refined nickname is cream pizza. The hearty pastry tart is filled with fresh cream, rich chocolate and often cherries. You’ll find countless gelato sellers along the Amalfi Coast, but we have a few favourites which we think are the ‘crème de la crème’. If you visit Capri, head to Gelateria Buonocore – you will smell it before you see it. Widely regarded as the island’s best gelato spot, they also sell superb local pastries, including delicious lemon cookies. From proud religious parades and colourful carnivals to seafood festivals and a world-class line-up of classical concerts. If you want to get a taste of life as a true Campani, why not join in the celebrations? Here are just a few of the most exciting events taking place in Sorrento and along the Amalfi Coast. Towns along the coast, stage celebrations in the run-up to Lent. Expect colourful costumes, fun floats and plenty of sweets and confetti. Forget Valentine’s Day, on February 14th Sorrento’s streets are celebrating Sant’Antonino, who it is believed saved the town from the plague. The narrow streets of the historic centre are filled with a lively (and noisy) procession before the skies alight with a fantastic firework display. Easter is one of the most important religious holidays in Italy and Settimana Santa, also known as Holy Week, marks the start, kicking off on the Thursday before Good Friday. Sorrento has a particularly special procession, which sees hooded and gowned penitents take to the streets en mass. This summer-long festival in the City of Music is arguably the area’s most important arts festival. It showcases a packed schedule with regular performances and exhibitions spanning art, music and drama. Do buy your tickets early! Each summer the humble medieval fishing village of Cetara celebrates its impressive tuna hauls with a dedicated four-day tuna festival. Despite being small, Cetara has a long history of tuna fishing and is home to one of the most important tuna fishing fleets in the Mediterranean. This is a great event for foodies seeking an authentic taste of the Amalfi Coast. Expect busy beaches and restaurants during Ferragosto, it is a national holiday celebrating the Feast of the Assumption of the Virgin Mary, and sees Italian tourists hit the coast. This is a street parade celebrating the patron saint of Salerno, San Matteo. Follow the parade through the city’s historic centre to the Cathedral of San Matteo and then watch the fireworks light up the bay. Expect a full calendar of events in the week leading up to the big day – Ravello and Sorrento, in particular, hold some fantastic Christmas concerts. Miniature Nativity scenes are part and parcel at this time of year and Salerno is famous for its Christmas lights. In the village of Termini, just outside Sorrento itself, Casa Arcobaleno is a beautifully restored farmhouse tucked away in a maze of lush vineyards. While the modern interiors are both aesthetic and comfortable, nothing quite beats the unparalleled views that surround this villa. Turn your head in any direction, and you’ll come across some of the most impressive sights on the coast – the Gulf of Naples in one direction, Mount Vesuvius in another, and the islands of Ischia and Procida in a third. Even the private pool terrace offers views north toward the Amalfi coast. Some of the best places to enjoy these 360-degree panoramas include the fragrant Mediterranean gardens and the dining area by the wrought iron gazebo. Nothing goes better with a view than a homecooked barbecue! The elegant Villa Almeida is truly a one-of-a-kind holiday home, nestled right in between the whitewashed architecture of Amalfi and the mountain scenery of Ravello. Its luxurious, chic design combines traditional Mediterranean style with contemporary elements that create the ultimate relaxing environment. There are no less than five terraces on the property, each adorned with fragrant flowers and each offering iconic views of the Amalfi coast. You can also soak up this panorama while taking a dip in the private pool. Evenings at Villa Almeida are well spent in the wellness area, where you can make the most of the spa, sauna and steam room before retiring in one of the four bedrooms (they all have terrace access, so you can’t go wrong with either one). At the very western tip of Ischia Island, Villa Polidori is surrounded by some 4000 square meters of coastal countryside and not much else. It is the perfect retreat for those wanting to get close to nature and wake up to serene birdsong and the sound of gentle waves in the morning. The villa’s simplistic elegance keeps it bright and modern while maintaining select character features such as the gorgeous arched windows and stone fireplace. There is a beautiful balcony overlooking the sea, but the property also has private beach access via the private gardens, right at the foothills of Punto Caruso natural park. As there are no neighbours around, you’d be hard pressed to find a better place to enjoy the island sunset in peace. Within walking distance of Ravello’s historical town centre, Villa Papice has excellent access to traditional restaurants, boutiques and bars in addition to all its other allures. The original structure was a 12th-century church, converted in the 1930s and updated in recent years to suit the needs of comfortable modern living. Spanning three stories, the villa’s high ceilings and arched windows create a bright and luxurious living space. From the living room and kitchen, you can exit through French windows onto the outdoor dining area where you can take in the views from the garden. This tiered garden, adorned with fragrant citrus trees, offers extensive views that stretch all the way along the Gulf of Salerno to the beaches of the Amalfi coast and its islands in the distance. Nestled in the hills of the marine protected Punta Campanella, Casa Lea enjoys both the beautiful Sorrento sunsets on the coast as well as the nearby beaches of Massa Lubrense. This rustic, restored farmhouse sits in floral gardens among the same olive and citrus trees that have been growing on the old farm for centuries. You might find yourself having a barbecue or some cocktails on the shaded terrace and patio or taking a dip in the swimming pool before dinner. From both these locations, you’ll be able to enjoy the panoramic Gulf of Naples-views that sweep around the grounds, reaching all the way to the island of Capri and across the sea beyond.